Michael Oren rejects New York Times report claiming Israel was prepared to detonate a nuclear bomb in the Sinai in 1967. 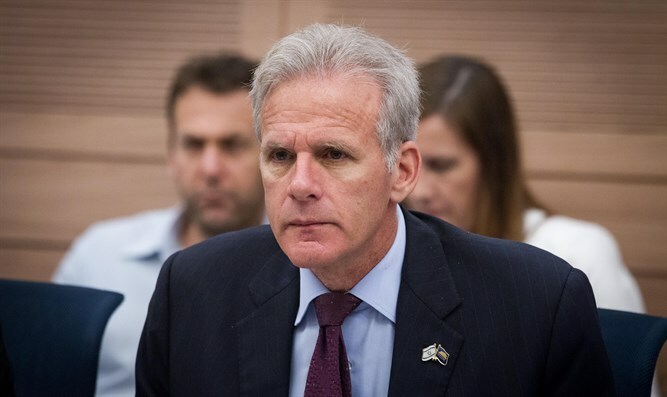 Deputy Minister Michael Oren (Kulanu), a former Israeli ambassador to the United States, on Sunday rejected a report in the New York Times which claimed that Israel was prepared to detonate a nuclear bomb in the Sinai to turn the tide of the 1967 Six Day War with its Arab neighbors if necessary. The New York Times report was based on an interview by leading Israeli nuclear scholar Avner Cohen with retired IDF Brig.-Gen. Itzhak Yaakov, who allegedly oversaw the plan. Yaakov, who oversaw weapons development for the Israeli military, detailed the plan to Cohen in interviews in 1999 and 2000. He died in 2013 at the age of 87. Oren, who wrote a comprehensive history of the Six Day War, said Sunday that thousands of declassified documents from the war do not support a plan to detonate a nuclear bomb in Egypt’s Sinai, reported JTA. He noted that basing such a report on one source is unacceptable. Yaakov was arrested in 2001, at the age of 75, for discussing the country’s nuclear program with Yediot Aharonot reporter Ronen Bergman. Israel maintains a policy of “nuclear ambiguity,” neither confirming nor denying that it has nuclear weapons. The Arab League has unsuccessfully tried to convince the U.S. and European nations to join a campaign to end Israel’s policy of nuclear ambiguity. It has, however, seen some support at the United Nations. A UN resolution passed in 2010 called for a nuclear-free Middle East and singled out Israel for criticism, while ignoring Iran, whose former President Mahmoud Ahmadinejad constantly threatened to wipe Israel off the map.